Wallace E. Harrell - Mediator based in Brunswick, Georgia. If you’d like a list of available dates for Wallace Harrell, please submit a request below. You will hear back directly from Wallace's assistant, Kim Kroscavage. Mr. Harrell is head of the firm's Litigation Practice Group. He has been lead counsel in numerous trials involving personal injury, medical malpractice, products liability, will and estate contests, contract and construction disputes and other general litigation matters. He has represented clients at trial in class action litigation and environmental issues. He has participated in over 100 appeals in the Appellate Courts of Georgia and in the Federal Appellate Courts. Mr. Harrell has served as Senior Warden at St. Mark's Episcopal Church and at Christ Church, St. Simons Island, Georgia. 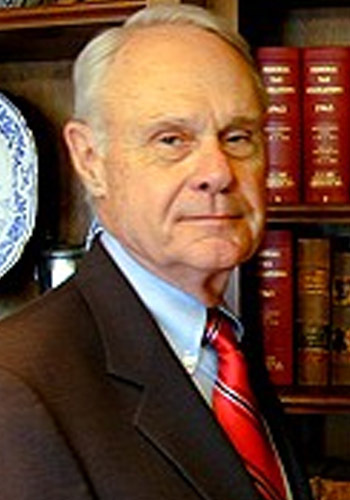 Wallace E. Harrell is a graduate of the Walter F. George School of Law, Mercer University, LL.B., and was admitted to the bar in Georgia in 1956. At Mercer he was a member of Phi Alpha Delta and Editor-in-chief of the Mercer Law Review, 1953, and President of the Mercer University Student Body. He was President of Blue Key Honor Society and President of his fraternity. Wallace's memberships include the State Board of Bar Examiners, 1989-1994, American College of Trial Lawyers, the American Board of Trial Advocates, and the International Academy of Trial Lawyers. He is Chairman Emeritus of the Court Advisory Committee of the Southern District of Georgia.